Your home inspection is a critical part of the real estate transaction process, whether you’re buying or selling a home, so we compiled some questions to ask your home inspector to help you through your purchase or sale. 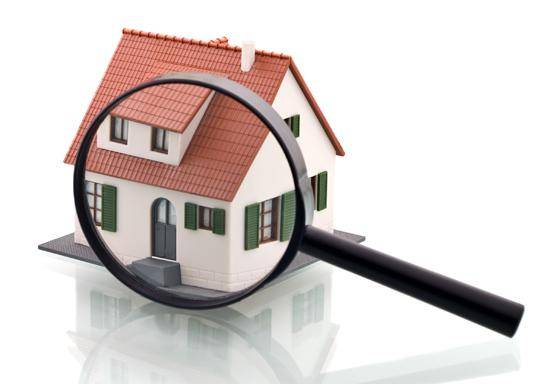 If you’re a buyer, a home inspector cannot tell you whether or not you should invest in the home in question, but he or she can give you the facts you need in order to make a clear-headed decision about whether or not to purchase the property. If you’re a seller, a home inspector will perform a Seller’s Inspection to help you determine what repairs can be made to help expedite the smooth sale of your home. Some buyers will even waive their inspection contingency, based on the Seller’s Inspection. For both buyers and sellers, it’s important to know you’re dealing with a trustworthy, knowledgeable individual who can help you make your choice with confidence. Your home inspector will reveal the true condition of the home to you, so be certain that you’re in the right hands by knowing the following questions to ask your home inspector. 1. Are You Licensed and/or Certified? You might be surprised to discover that not all states require a home inspector to be licensed. Ask what your state’s requirements are. You may also want to know whether the inspector has been certified by InterNACHI, the International Association of Certified Home Inspectors and/or ASHI, the American Society of Home Inspectors, both of which require training and adherence to rigorous standards and codes of ethics. PRIME Home Inspections is licensed by the state of Washington and is also an InterNACHI certified inspection company. Home inspection experience is important, of course, but you may want an inspector with other home-related experience. It’s fairly common for general contractors and those with similar backgrounds to become home inspectors. If you want an inspector who knows what it’s like to build a home from the ground up, then this information may help you feel more confident about their hands-on knowledge. 3. Can I Accompany You During the Inspection? Your home inspector will most likely answer “Yes” to this question, but if he or she doesn’t say it convincingly or offer it up front, you may want to look elsewhere. A good home inspection company will have your best interests in mind and will want to answer any and all of your questions. This doesn’t mean that you’ll need to attend the entire inspection—some inspectors will want to perform the inspection without distraction. Regardless, he or she should be more than willing to walk you through the home at the end of the inspection to point out his or her findings and explain them to you in detail. 4. Who Would You Recommend to Fix This? Many home inspectors are not allowed to perform work on the homes they inspect for a year. They should, however, be able to make recommendations to you regarding others who can complete any necessary repairs. Sometimes, the required work may even be minor enough for you to do it yourself—just ask your inspector! 5. Can You Tell Me How This Works? Many home inspectors will be happy to explain how the different systems and components of your home function. They may even be able to estimate how long something will last before it needs to be replaced, giving you a better idea of the home’s long-term value. If you’re satisfied by your inspector’s answers to these questions, you’ve likely found the right one to help you through the buying or selling process! For buyers and sellers in the greater Olympia, Tacoma, Yelm, Centralia, and Western Washington areas, please consider PRIME Home Inspections for your next residential inspection. We’d love to work with you and welcome you to contact us today!